"Dr. Au was recommended to me and after seeing her level of care, I totally agree. I live an hour away from her office but it was a trip I'd gladly take over and over again. I'd give her a 10!" "Dr. Au is a wonderful hands on Dr."
"Dr Au took her time explaining my illness and was very kind and put me at ease being in her care." "Dr. Au was very sensitive to my situation, esp. since I am a male seeing a breast dr."
"I had a very great experience with Dr. AU"
"A very pleasant experience. " "My doctor is just the absolute best! I can not say enough great things about her-she is not only an expert in her field, but she truly and wholeheartedly cares!!" "Dr. Au was very thorough." "I have never been to a dr. that had such kindness thorough and so very patient. Dr. Au is great. I've told so many people already about her. She made me feel like a person, not a number!! Loved her!!" "Dr. Au took a lot of time to answer my many questions. She makes me feel like I am getting the best possible care. Because of her my recovery was remarkable." "It is always a positive experience mtg. w/Dr. Joyce Tien Chueh Au. She never keeps me waiting and spends as much time with me as I need her to. " "She took the time needed to explain my condition and discuss my options. She showed empathy & respect throughout the visit. " "Dr. Au is an excellent physician in all aspects - compassion, knowledge, bedside manner, clarity of explanation." "Dr. Au is so personable, she eased me through my health scare, and surgery. Her staff is excellent! I can't say ENOUGH good things about her and her staff. " "She was, in every word, completely wonderful!" "I cannot praise Dr. Au enough. She takes the time to explain everything, even if I ask the same questions over again. She gave me such confidence in her getting me better that my recovery has been phenomenal." "Dr. Au is a kind, gentle, compassionate dr. excellent care." 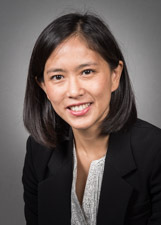 "Dr. Joyce Au is one of the friendliest, kind and knowledgeable doctors I have met. Felt extremely comfortable with her care. NEVER felt rushed. Calm, caring demeanor." "Dr. Au is very professional, has empathy takes time with her patients. Does good explanation of the disease process and the procedure." "Dr. Au spent 2 1/2 hours talking to me and my husband, answering every question and making me feel that I am definitely in the best hands." "I'm not a doctor but I am not un-intelligent and appreciate a level of professional vocabulary. Doctors should use high level terminology. Dr. Au is wonderful!" "This was the 1st time I met Dr. Joyce Au. She spent as much time with me as I needed and explained everything I needed/wanted to know answering all my questions." "I really feel comfortable with Dr. Au. She listens and care about my best interest and what's the best options for treatment. " "She was extremely friendly and thorough." "Dr. Au is the kind of doctor that other doctors should take note of. She was warm, knowledgeable, caring, and met me where I was at and had an actual discussion with me. She took my needs, fears, and concerns and allowed me to be a part of my medical decisions and helped empower me to make the best decision for me and showed no judgment. " "Dr. Au is one of the most caring, thorough and professional doctors I have ever had. She made me feel so comfortable and answered all of my questions. I have a lot of trust in her. She really went above and beyond for me." "I was not too familiar with Dr. Au., but I know - Huntington Hospital has the best -"
"Dr. Au was wonderful. She spoke with me at length & eased my concerns. Explained why there was concern about my mammogram & why. " "I LOVE Dr. Au. she is such a warm and friendly doctor who I feel really cares about me. she really is terrific. People in my situation or worse should definitely go to her." "Dr. Au was a very nice person. she seemed we'll versed on the problem for which I came to see her. I was very pleased with her and will continue to use her as my breast surgeon as opposed to seeing someone outside the network of our health insurance."